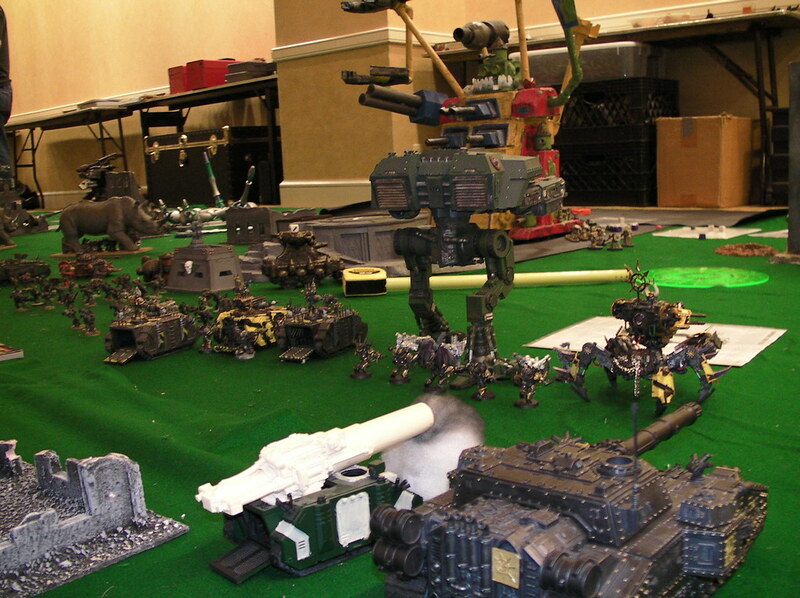 Dexcon 13, 2pm-1am, Apocalypse 40k Battle. 20+ Titans, Chaos, Orks, Necrons, Space Marines (Dark Angels), and Eldar. Chaos, Necrons, a few orks and the glorious Dark Angels joined forces to take out a group of Titans gone Rogue that eliminated the forces guarding the base. Will the Space Port be retaken? This entry was posted in Battle Reports, Events. Bookmark the permalink.